The GOYA Project studies the structure, dynamic, gas content, and stellar population of galaxies at high redshift. Our goal is to understand the physical processes that determined the mass assembly and star formation of galaxies at redshift z>1, the epoch of maximum star formation activity in the universe. GUAIX participation in GOYA is very strong. R. Guzmán is the GOYA Principal Investigator, and J. Gallego and N. Cardiel belong to the GOYA core group. J. Zamorano, P.G. Pérez-González and A. Gil de Paz are GOYA scientists. S. Pascual, C. Eliche, G. Barro and V. Villar are GOYA collaborators. Simultaneously, J. Gallego leads the GOYA group for star-forming galaxies. 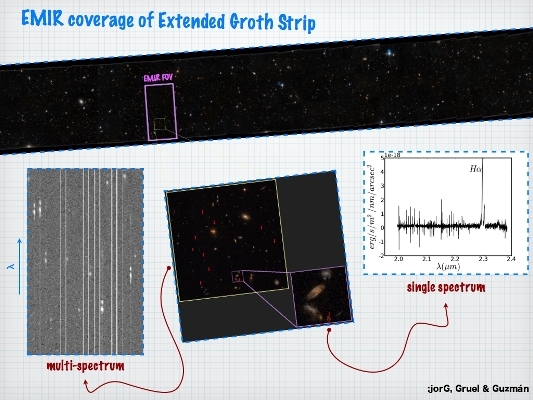 The foundation of the GOYA Project is a near-IR spectroscopic survey of 2500 galaxies at z>1 using 30 guaranteed nights with EMIR, a cryogenic near-IR multi-slit spectrograph at the 10.4-m Gran Telescopio Canarias (GTC). EMIR will provide simultaneous spectra of up to 50 objects in a FOV of 6’ x 4’ with R=4000. The major activity of GOYA is expected to happen as soon as EMIR becomes operational (currently expected for the end 2013 or beginning 2014). 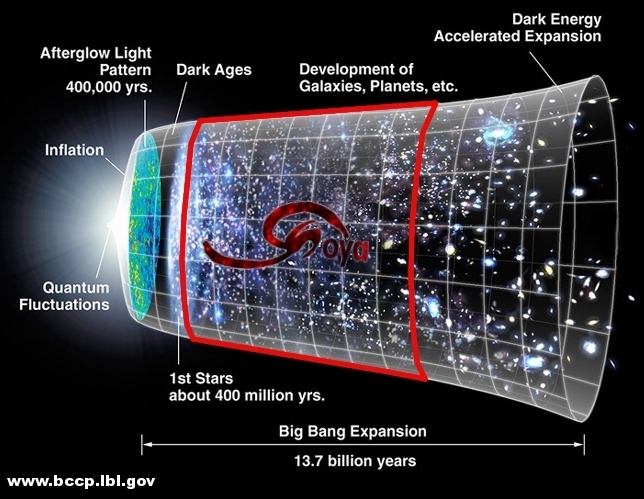 GOYA main cosmological field is the Extended Groth Strip. More info about the GOYA project can be found at the oficial GOYA web page.